The breathtaking home of Sir Richard Branson – founder of Virgin Records, Virgin Atlantic, Virgin Galactic … and one of today’s most inspiring forward-thinkers. 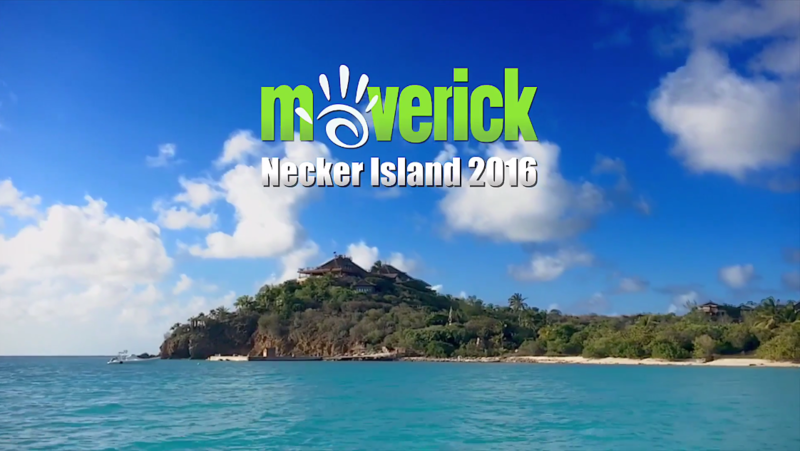 Necker is the jewel of the British Virgin Islands and will be home to a very small and select group of Maverick entrepreneurs. This is the place – and the experience – that cliches are made of. No single superlative can quite live up to reality on Necker Island… and the Maverick epic experience that takes place here each year. Perhaps you’ll start your day with some yoga or a tennis lesson or maybe even an early morning swim around the island. 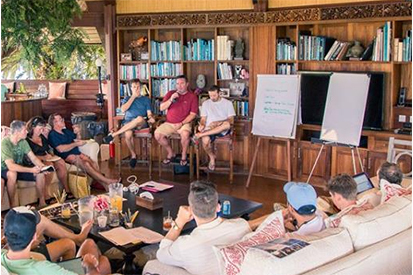 Then, join in on a morning business session, where you and the world’s top entrepreneurs share and brainstorm deep insights to get to the next level in your business or resolve a specific challenge. 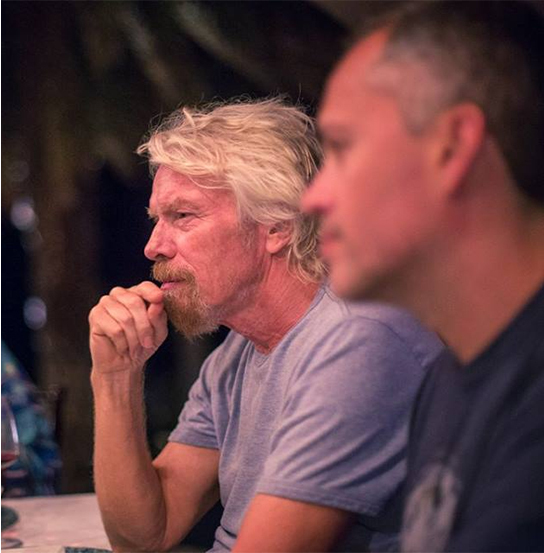 When Richard first laid eyes on Necker Island twenty-five years ago, it was undeveloped and uninhabited. But, as with everything else in his world, Branson (the visionary that he is) didn’t see it only as it was – he saw what it could be – a private world for him, his family and their guests. The landscape is one of dramatic contrasts: Snow-white sandy beaches punctuating craggy headlands… Lush hillsides rising to rocky ridges capped with cactus… And the crystal clear water of the Caribbean washing reefs teeming with amazing sea life in a variety of colors and shapes. Flamingos, lemurs, scarlet ibis, iguanas and more are all over the island! In fact, with the increase in species due to the fresh water from its desalination plant. With a Staff of 70+, you and your fellow guests are always out-numbered by those whose purpose is to pamper you with first class service and cater to your every whim. Necker Island is refreshingly “out of step” with the rest of the world. In fact, Richard has a rule that there can be no work done on Necker in the afternoon, so that you can go out and enjoy yourself… Recharge and refresh. 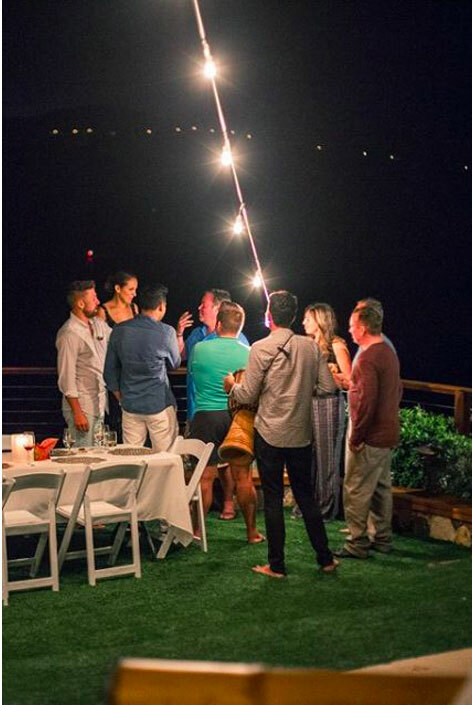 And this type of unique, incredible environment is exactly why you’ll create powerful business connections with other successful entrepreneurs as well as deals and relationship “collisions” that are priceless. unite great people and entrepreneurial ideas to create opportunities for a better world. combined use of our entrepreneurial brainpower and resources. Virgin Unite’s overheads are covered by Richard and the Virgin Group, meaning that 100% of net donations received go directly to initiatives they create or support. From championing new forms of leadership and incubating new organizations such as The Elders, Carbon War Room and The B Team, to supporting the next generation of entrepreneurs across the world, Virgin Unite works to push boundaries to make business and the world better. You’re ready to recharge your batteries, enlarge your thinking, and do the kind of brainstorming and problem-solving that can make a real, profound difference in both yourself, your business and even the world. This will be a life (and business) changing event for you! The place is incredible. Besides it being breathtakingly beautiful and having an amazing service experience, there is so much to do here. In addition to all of the thought provoking and transformational business sessions, you can also choose to participate in over a dozen different activities…or just choose to take some time to soak it all in. There are plenty of spiritually uplifting spots throughout the island where you can escape for some alone time and maybe get in a little solo meditation or yoga. The Impact. Virgin Unite is doing some pretty incredible things in the world. 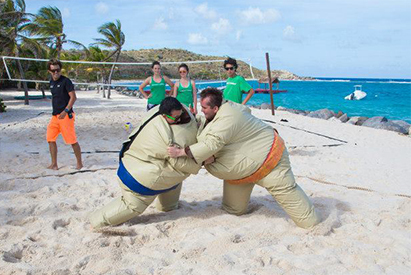 By participating in this Epic Experience, a portion of your trip fee will be going towards Virgin Unite’s efforts. Last time we donated over $250k to Virgin Unite and like you (just guessing here), we are a bit on the competitive side and hope to raise even MORE money this time around. Special Guests. Each year we invite a few high-caliber guests to make the event even more powerful. Previously, we’ve had Hollywood celebrities, business moguls, major authors, thought leaders and other top CEOs. Who knows who’ll show up as a special guest with you this time around? Sir Richard Branson. Through our extensive relationship and ongoing support, we are very fortunate that Richard spends a significant amount of time with our group in this incredibly relaxed setting. Whether it’s a business session, Q&A, lunch at the pool, dinner at the Great House, or even partaking in an adventure activity, Richard will be there mixing it up, mingling and generally just hanging out on his island home. Where else is this possible? Quite frankly, nobody looks back on their life and wishes they spent more time at the office. Your life is quite literally the sum of your experiences. We believe that a collection of rich experiences equals a rich life! This is your chance to create the kind of memories and friendships that will stay with you forever and to form the stories you’ll tell for years and years to come! It’s up to you. Q. Can I bring an associate, partner or my spouse? A. Yes! There is also a discount for 2 or more attendees coming together. Q. 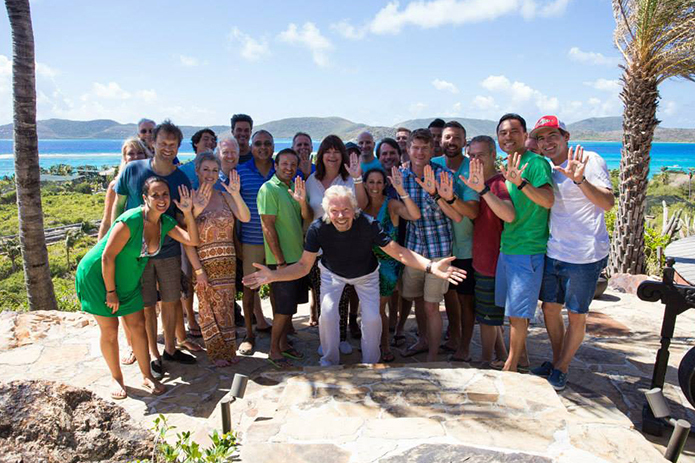 How much time will Sir Richard Branson spend with us? Q. Who else is coming? A. Rest assured you will be surrounded by some pretty amazing, top-level entrepreneurs, game changers and forward thinkers. Q. Can I stay in touch with ‘the office’ by bringing my laptop, cell, etc? A. You can if you’d like… but quite frankly this is the perfect time to truly disconnect and re-energize yourself, without “bringing the office along”. Q. Will I get my own room? Q. What is the Deadline to Sign up? 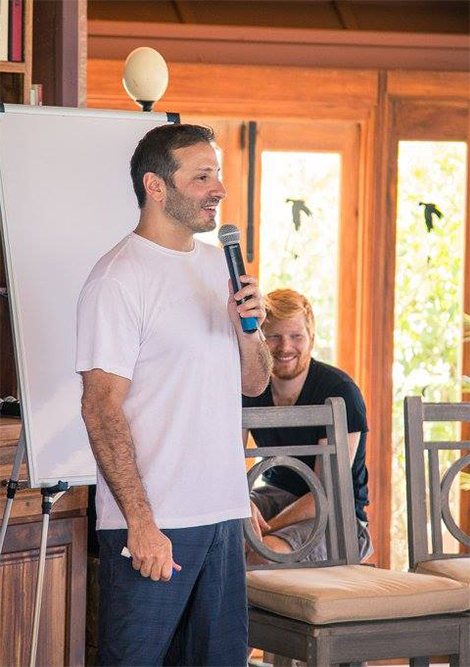 A: There is good news and bad news…The good news is to maximize your business connections – this is a small intimate event with a select group of entrepreneurs. The ‘bad’ news is that we already have more than 50% of the spots reserved by previous attendees coming back again! So if you want in – now is the time!